Providing accurate information is key when going through the SCAQMD air-permitting process. It sounds simple — and, let’s face it, obvious — yet people still make the mistake of providing incorrect information when they prepare permit applications on their own. And it’s pretty darn important that you provide the most accurate information possible. Here’s why: The agency imposes conditions that limit equipment emissions and assesses compliance or the ability of the equipment to comply with current SCAQMD rules, like the current requirements for NOx emissions for a boiler or an engine. Sometimes the agency imposes a cap that serves as an implicit limit, like the amount of coffee beans roasted per month. That limit then appears on the face of your permit. And since you must be in compliance with all the guidelines on your permit, you must be below that limit at all times — or else you’ll have a compliance problem. And when you’re applying for an air permit for engines and boilers in particular, having an accurate emission limit when applying for the permit can save you a pile of hassle down the road. There’s quite a bit of information you have to provide when applying for an air permit, but one of the most important is the equipment’s emission limit, particularly when it comes to equipment that combusts fuel in an industrial engine or boiler. 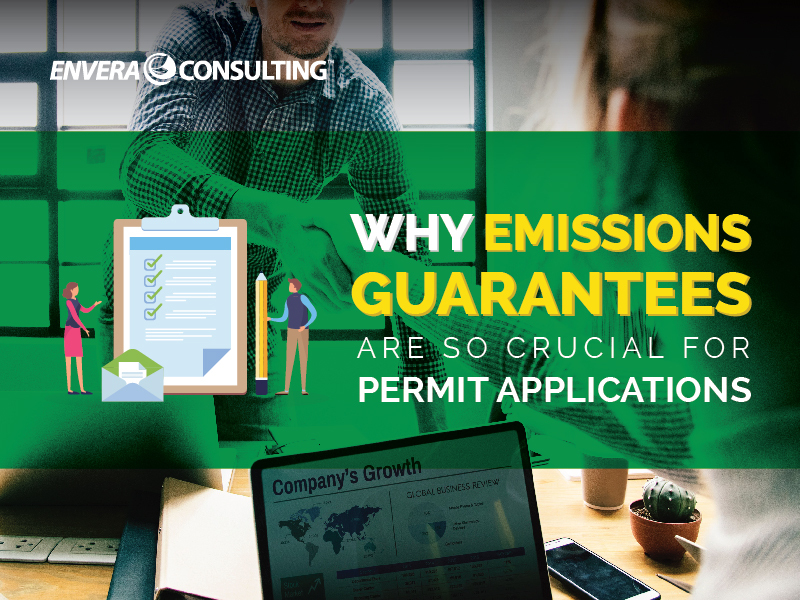 To determine whether or not the emission limit you have for the permit is correct, you have two options: You can guess, or you can get the emissions guarantees by the equipment manufacturer. Given the compliance implications of guessing incorrectly, you’re better off going with the latter. Marketing material is not a replacement for an emissions guarantee. Folks often make the mistake of confusing emissions data in marketing materials, such as a brochure, with an emissions guarantee. But using the emissions data found in marketing materials works only if the manufacturer can guarantee those emissions. However, the emissions in marketing materials tend to be obtained under “ideal” conditions rather than “actual” conditions — meaning you run the risk of having the actual emissions be higher than the limits on the permit. If that happens, you’ve got yourself a compliance problem. An emissions guarantee, on the other hand, is a level of emissions determined by the manufacturer under actual conditions and includes a buffer, or margin of safety, as a means to ensure that the emissions will not exceed a certain level. Using emission guarantees gives you peace of mind that the emission levels you are providing to the SCAQMD for your permit are accurate and serves as a quasi form of “insurance” against noncompliance. And, if you have a guarantee, depending on how the sales contract is drawn up, the manufacturer may offer compensation or some relief to the party who bought the equipment, should the equipment not meet the promised levels. This becomes key if you’re trying to retrofit a piece of equipment to meet the emission limits in a new or modified rule. So when you prepare air permits, you should always use an emissions guarantee — not some stat you found in a glossy brochure or on a website. When shopping for equipment, look for a seller that is willing to provide a guarantee. What Emissions Level Do I Need to Meet? It’s best to look at both the rule limit and the BACT limit to know what the emission limits will be. Although in most cases the two limits will be the same, every once in a while you come across a case where they differ. In other cases, you only need to meet the rule limit if you’re upgrading or retrofitting a piece of equipment, while the BACT limit applies when permitting new equipment. Dealing with some SCAQMD rules can get a little tricky, as this post shows, so it’s important to know what limit needs to be met and — more importantly — to have an emissions guarantee to show compliance. Because BACT limits and the SCAQMD’s rules are always changing, you should determine the emissions limit of your piece of equipment prior to purchasing it. Once you find your emissions limit, you should also know if there are any pending/proposed rule amendments that may change the emission limit you need to meet. This can help keep you on track, particularly during the planning phases of your project. If you don’t, you could end up purchasing a piece of equipment you won’t be able to permit. Bottom line: Know what limits your equipment is subject to and obtain an emissions guarantee to ensure you can meet those limits.